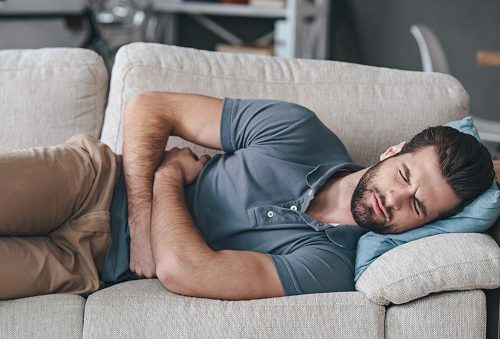 Most people have had stomach problems at some point in their lives, but when you have an ultrasensitive stomach, any meal time can turn into a nightmare, as if food becomes your worst enemy. If you are one of those people who are looking for better digestion and less discomfort, there are diets that can help you. Cramps, diarrhea, and other stomach problems can be a sign of inflammatory bowel disease, ulcers, gastroparesis, or cancer. However, oftentimes it is simply a matter of having an upset stomach. Improper food habits or a supersensitive digestive system can be to blame. A sensitive stomach usually means you will experience one or more of the following. Dieticians have discovered that certain foods are more tolerable for people with sensitive stomachs. These dietary adjustments tend to be healthier in the long run and give the person more energy to carry out day-to-day tasks. Although everyone’s digestive system is different, the following foods have a track record of being more tolerable for those with an ultrasensitive tummy. The above list just offers some examples. There are many other foods that you can enjoy if you have stomach issues. Carbohydrates are easier to digest so they should be consumed. Some fruits can be combined with cheese so that they don’t bother the stomach. Another suggestion is to mix grains with dried or fresh vegetables and fruits. Foods that are rich in magnesium are also highly recommended because they prevent excessive acid secretion. There are certain foods that you should avoid if you have stomach problems on a regular basis. If you eliminate these foods from your diet, you will experience better digestion and less pain. Here are some tips to help you better avoid indigestion for a sensitive stomach. Eat slowly and ensure you are properly chewing your food. Consume smaller, more frequent meals as opposed to larger ones. Drink plenty of fluids throughout the day, but avoid drinking too much fluids when eating. Avoid lying down or sleeping soon after consuming a meal. Ensure your diet consists of soluble fiber. Know your triggers, and if there are particular food items that cause your stomach distress, avoid them as much as possible. When you first begin to modify your diet, getting all the essential vitamins and minerals you need may be difficult, so some medical professionals suggest considering supplementation. Consulting with a certified nutritionist will help you get on the right track. Some people with ultrasensitive stomachs can pinpoint exactly what they can and can’t eat, while others have to experiment and even keep a diary of their eating habits in order to figure it out. No matter what category you fall into, doctors say the way you eat can make a difference. They suggest that you eat slowly, chew really well before swallowing, and eat frequent small meals instead of eating three big meals per day. They also warn: Do not eat for four hours before lying down. Last but not least, try to drink four to six glasses of fluids per day. Heat a sauté pan over high heat and add the olive oil. Season the fillets and place them into the pan. Cook for three to five minutes. Flip and cook the other side until golden brown on the outside and flaky-white in the center. Top with a squeeze of lemon. Related: Bowel movements: How often should you poop?